NOAA’s Climate Program Office (CPO), a part of NOAA’s Office of Oceanic and Atmospheric Research (OAR), has awarded $44.34 million for 73 new projects. The projects, ranging from observing systems in the tropical Pacific Ocean to on-the-ground community-based research institutions, will be conducted by NOAA, universities, and other agency and research institutions. The new projects are designed to help advance the understanding, modeling, and prediction of Earth’s climate system and to foster effective decision making. 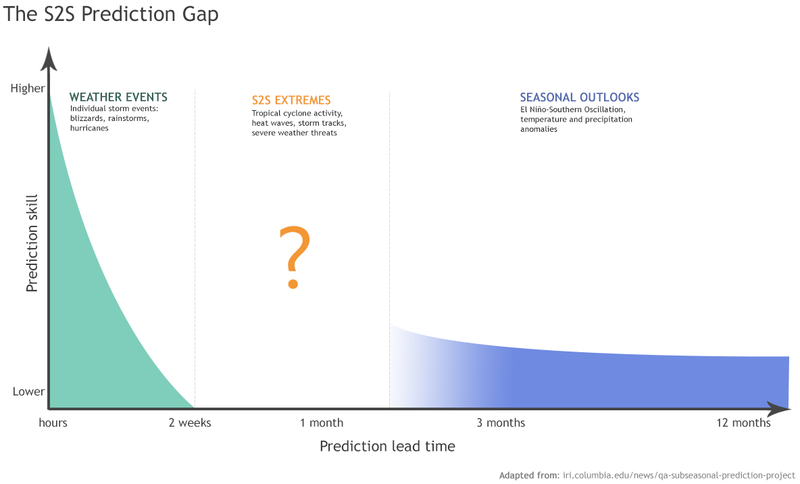 Some anticipated outcomes include more accurate forecasts, early warning hazards of drought, more robust decision support services, enhanced community and drought preparedness, and improved ability to respond and adapt to climate-related public health impacts. The funds will be distributed over the life of the projects, many of which are multi-year. All awards were selected in an open, competitive process. With these new awards, CPO expands the breadth and scope of NOAA’s climate research, products, and services, and offers opportunities for collaboration within and integration between programs. CPO manages competitive research programs, which fund climate science, assessments, decision-support research, modeling improvements, transition of research and capacity-building activities in four complementary areas: observations and monitoring; process understanding and analysis; modeling, predictions, and projections; and societal interactions. While each program area has its own focus, together they demonstrate NOAA’s commitment to advancing integrated climate research and enhancing society’s ability to plan and respond to climate variability and climate change. CPO’s network of partners, specialists, and principal investigators will integrate and transition research findings from these projects into applications to help build resilience in the face of climate challenges. To improve understanding of the El Niño-Southern Oscillation (ENSO), its prediction, and how it affects Earth’s weather and climate, the Climate Observations Division (COD) made the following awards. In support of the international Tropical Pacific Observing System (TPOS 2020) Project, the Climate Observation Division awarded $4.5 million over the next four years to four projects that will advance the readiness of new observing platforms and assess their potential to enhance Tropical Pacific ocean observing. ** This observing system is critical to NOAA's mission to improve weather and climate prediction, modeling, and forecasting. The benefit of this improved observation system will have a global impact. View the COD Announcement. In an effort to improve understanding of the Atlantic Ocean and the effects of emissions and chemical transformation of wildfires in the Western U.S., the Earth System Science (ESS) Division funded 22 new projects in FY16 through its two programs: Climate Variability & Predictability (CVP) and Atmospheric, Chemistry, Carbon Cycle, & Climate (AC4). In FY16 CVP and AC4 made the following awards. The CVP program competitively funded 12 new three-year projects totaling $4.0 million in grants and $1.4 million in other awards (for a total of $5.4 million) to support 30 researchers, postdocs, and students at 16 institutions. These funded projects will help in our understanding of the state, variability, and change of the Atlantic Meridional Ocean Circulation. View the CVP announcement. 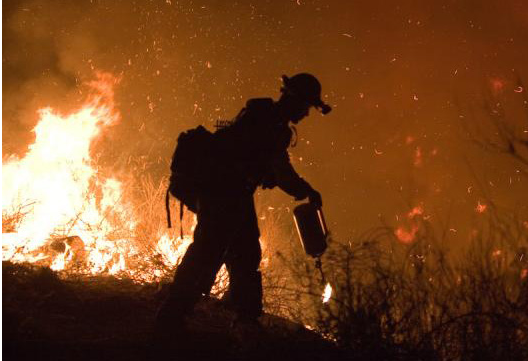 The AC4 program funded 10 new projects consisting of 17 individual grants totaling $6.5 million to support the Fire Influence on Regional and Global Environments Experiment (FIREX). FIREX investigates emissions and chemical transformation resulting from wildfire burning in Western United States. View the AC4 Announcement. 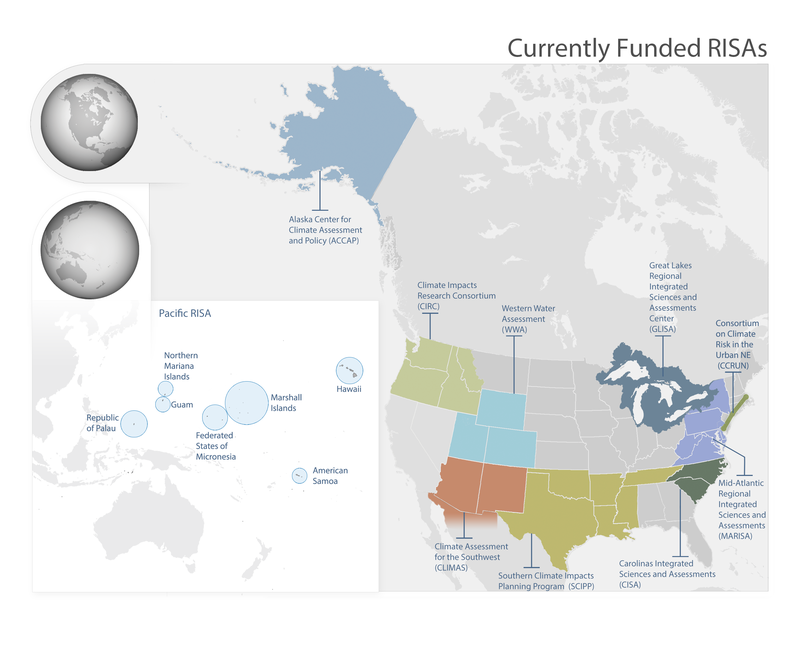 To help transition research into operational models, products, and services to improve weather and climate prediction, the Modeling, Analysis, Predictions, and Projections (MAPP) program selected 28 new projects via three distinct competitions for a total funding of $12.14 million over the duration of the projects. In FY16 MAPP made the following awards. Fourteen new two-year projects involving $2.9 million in grants and $2.54 million in other awards (for a total of $5.44 million) were selected to help accelerate the transition of research into operational climate models, products, and services. View the MAPP announcement. In partnership with the National Weather Service’s Office of Science and Technology Integration, Fourteen new three-year projects were selected involving $5.5 million in grants and $1.2 million in other awards (for a total of $6.7 million) to help advance the prediction of phenomena occurring between current weather and seasonal predictions. View the MAPP announcement. To help provide To help leadership and support for research, assessments and climate services development activities designed to bring sound, interdisciplinary science to bear on climate sensitive resource management and adaptation challenges in key sectors and regions, the Climate and Societal Interactions (CSI) division held four competitions in FY16 and funded 19 new awards totaling $15.8 million. In FY16 CSI made the following awards. The Coastal and Ocean Climate Applications (COCA) program competitively selected four major two-year projects totaling $1.1 million in grants. These four projects will conduct interdisciplinary research that improves our ability to respond and adapt to public health impacts related to changes in coastal ecosystems (or ecosystem changes in the coastal zone). View the COCA announcement. The Regional Integrated Sciences & Assessments (RISA) program competitively awarded $11.6 million over five years to three research institutions in Alaska, the Carolinas and the Mid-Atlantic to improve the expertise and ability of managers and planners to prepare for and adapt to climate variability and change. These new RISA teams will join the robust and valuable RISA network across the U.S. View the RISA announcement. The Sectoral Applications Research Program (SARP) continued to support the National Integrated Drought Information System (NIDIS) Coping with Drought initiative in FY16. Spread over two years, SARP’s six new projects will total $1.7 million. There will be no competition in 2017. 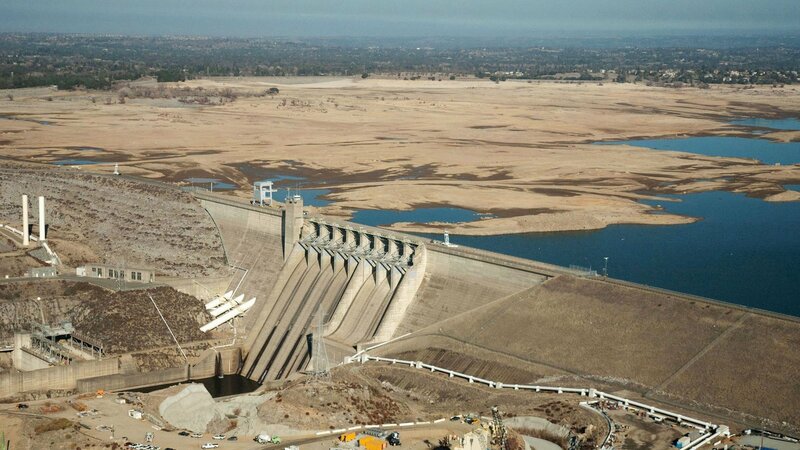 View the SARP-Coping With Drought announcement. To help communities plan and prepare for drought, wildfire, and water resource issues, the Sectoral Applications Research Program (SARP) is funding six new projects over two years for $1.4 million. There will be no competition in 2017. View the SARP announcement. *At the time of publication, some institutions have yet to officially accept grants. Future year funding is conditional on appropriation of funds. **These awards were previously announced with partner institutions in July 2016. Situated within NOAA’s Office of Oceanic and Atmospheric Research (OAR), based in Silver Spring, Md, the Climate Program Office advances scientific understanding, monitoring, and prediction of climate and its impacts to enable effective decisions. CPO envisions a resilient nation and world in which people, businesses, and the environment thrive in the face of climate-related challenges.